In a blog post on his website, Gates writes, “To walk across a place is to truly know a place,” and Lasure was eager to get to know her own place. 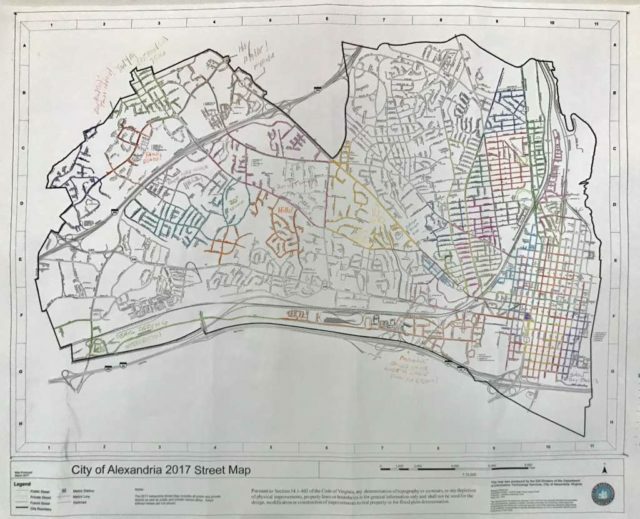 Lasure went to City Hall to pick up a zoning map of the City of Alexandria, which now hangs on the wall of her home in Old Town. 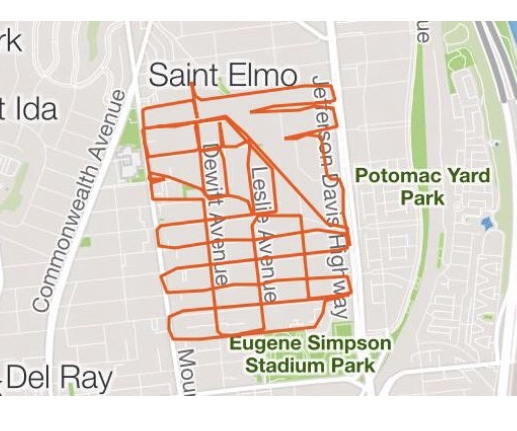 It’s a rainbow of colored pencil markings that has helped her keep track of where she’s run. She has a second map cut into smaller pieces, each of which help guide her through a new neighborhood and ensure she doesn’t miss any streets. Planning each run is pretty simple: she doesn’t. At least not in the way she used to plan her outings. “I have no concept of how far I’m going to run [on a given day]. I pick a neighborhood and when it’s done, it’s done. If it’s three miles, that’s great. If it’s 18, well, that’s a long day,” said Lasure, who has completed several ultramarathons. And it’s that intention — running with no real plan — that has made her enjoy running more than she ever has. As she’s zigzagged her way through Alexandria, she’s found places she’s loved — include Locust Lane in Rosemont, which she says is “the cutest street I’ve ever seen in my life” — and places she’s hated, namely the “death defying” intersection of Eisenhower and South Van Dorn, which is currently under construction. But the places she’s truly enjoyed running far outnumber the ones she hasn’t. And, she notes, she’s never felt unsafe. Lasure also has been lucky enough to garner some attention from Gates himself. A few weeks ago, he sent her a pair of Salomon trail running shoes. 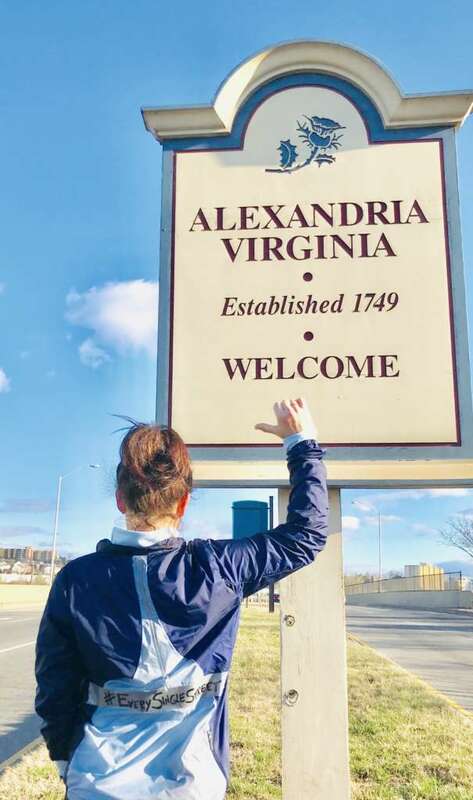 And City of Alexandria Mayor Justin Wilson suggested marking her accomplishment at City Hall once she’s done. But maybe the most rewarding part has been the new digital community she’s found in the process.